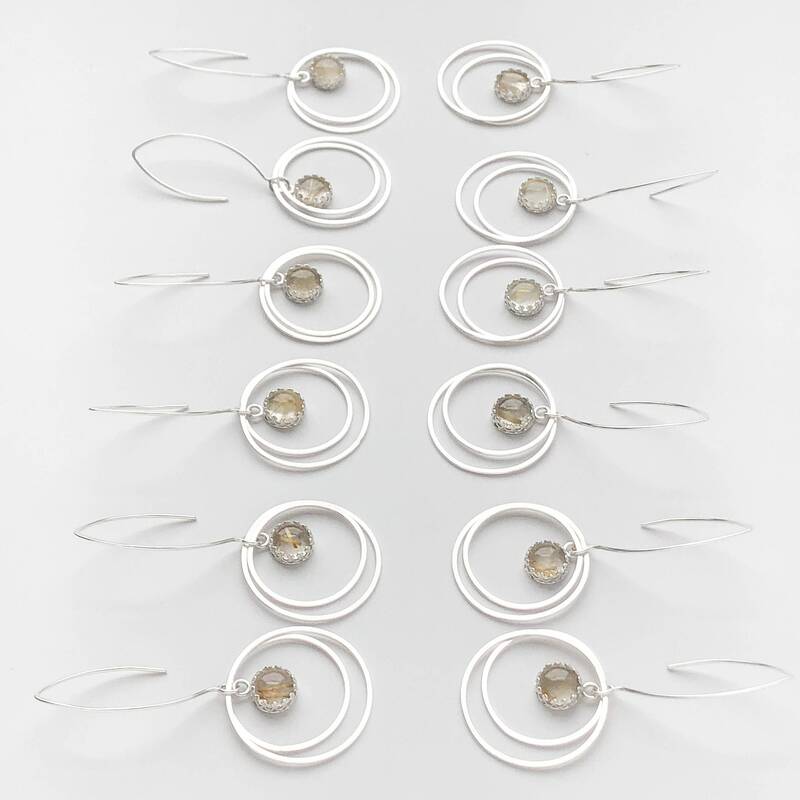 * Total length including the ear wire is 2.5" and the circles measure 1.2" across at the widest point. 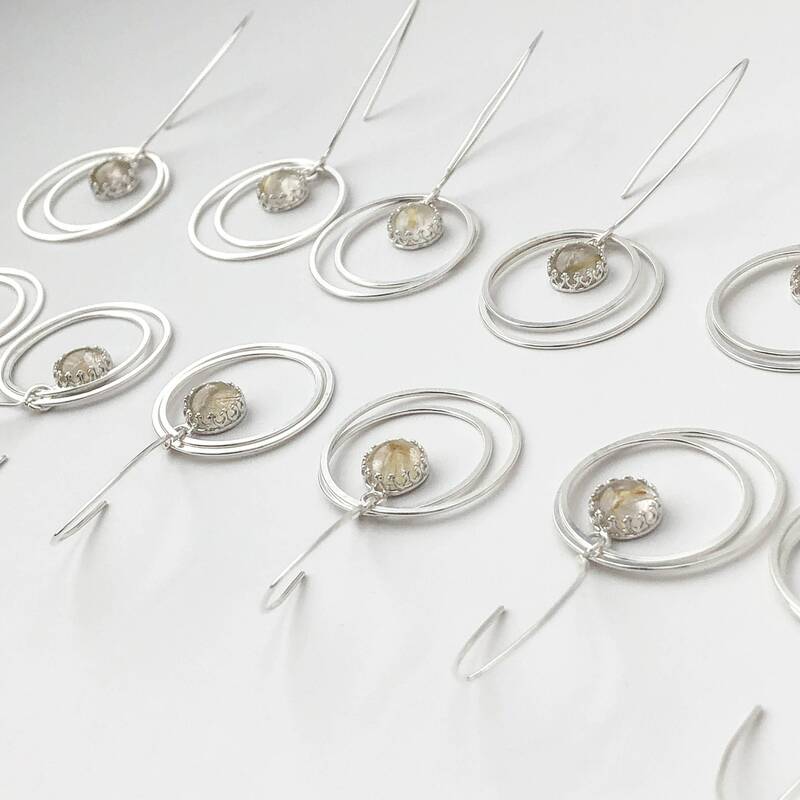 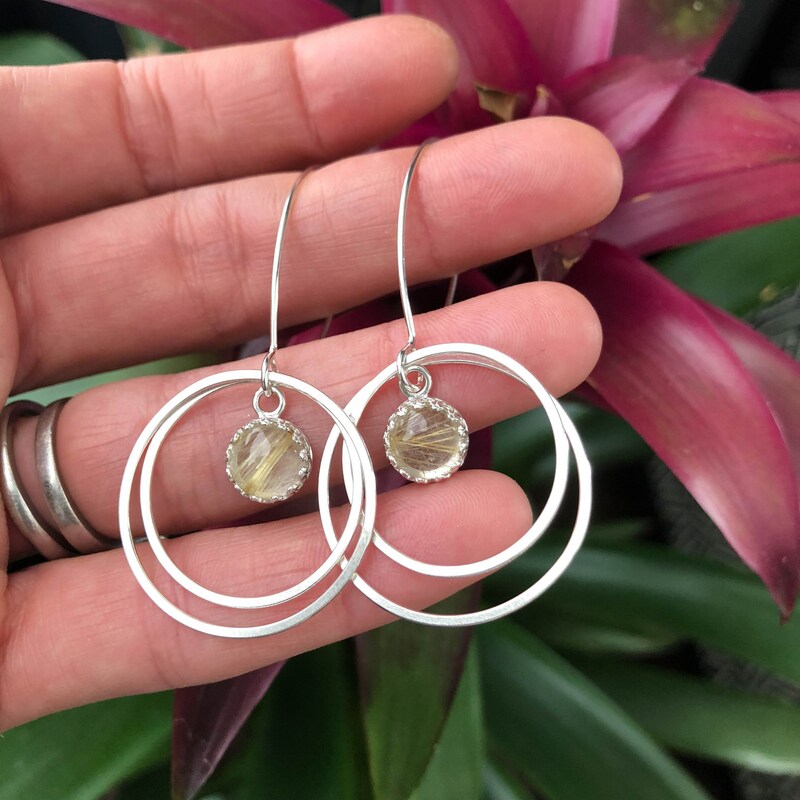 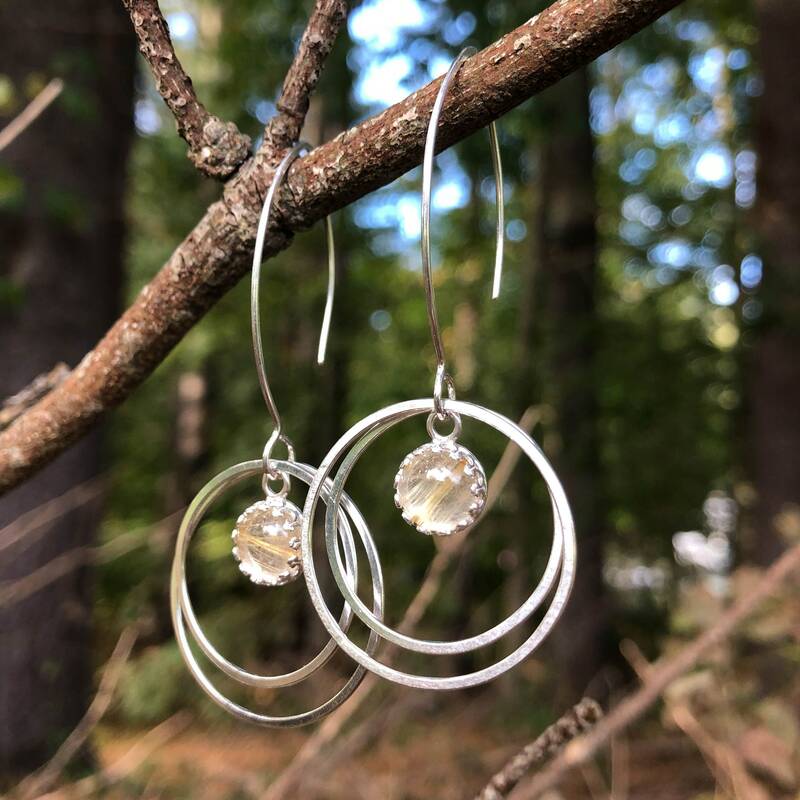 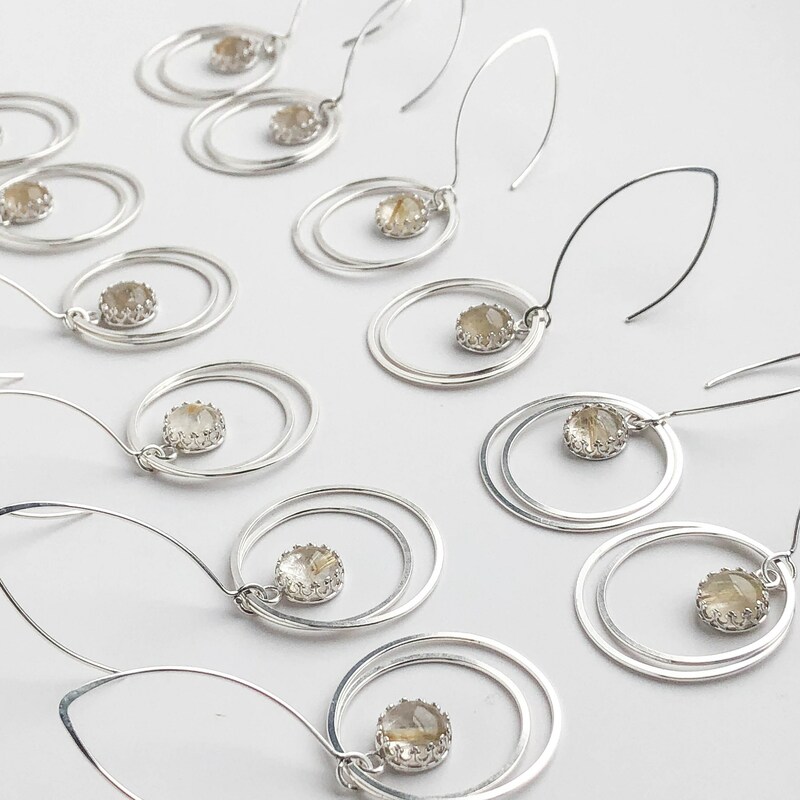 These unique earrings were handmade with solid nickel free sterling silver and golden rutilated quartz gemstones. 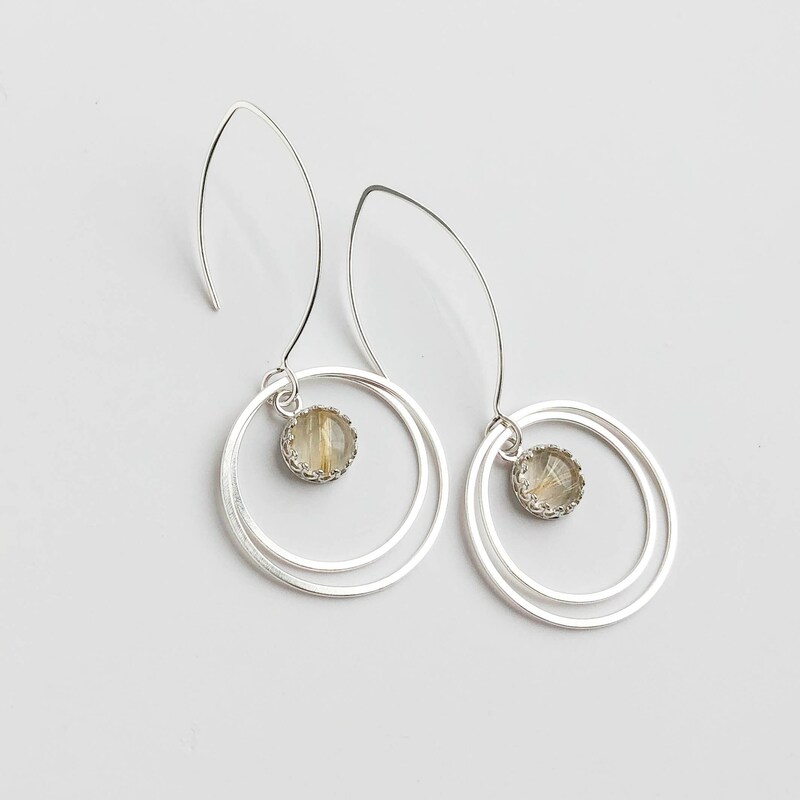 I created them to be long and make a statement but be super lightweight and really comfortable to wear. 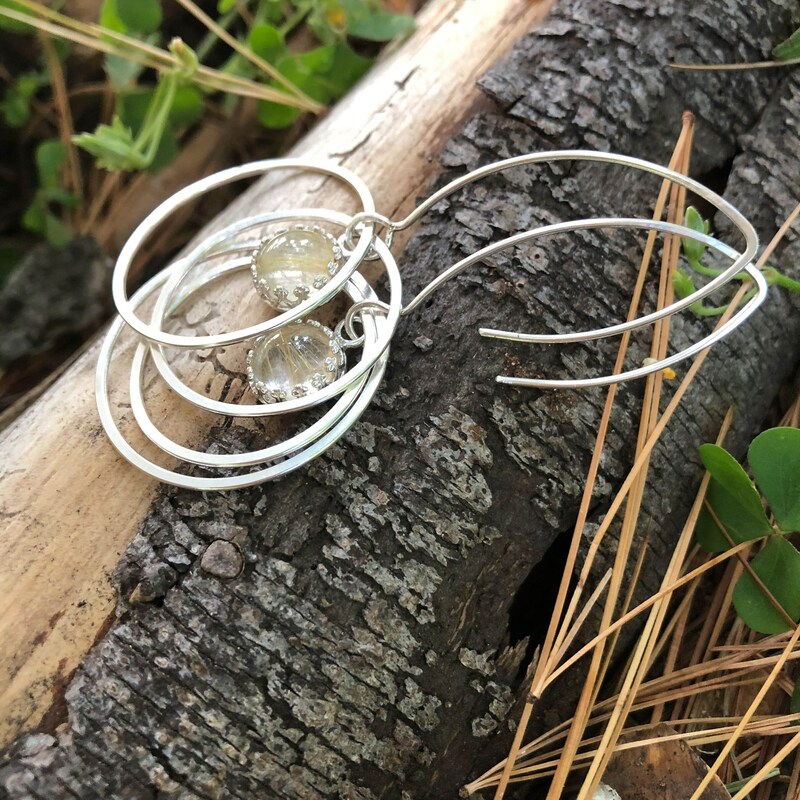 The ear wires are handmade, I love the way these look on, they offer extra length and the longer back makes them really secure. 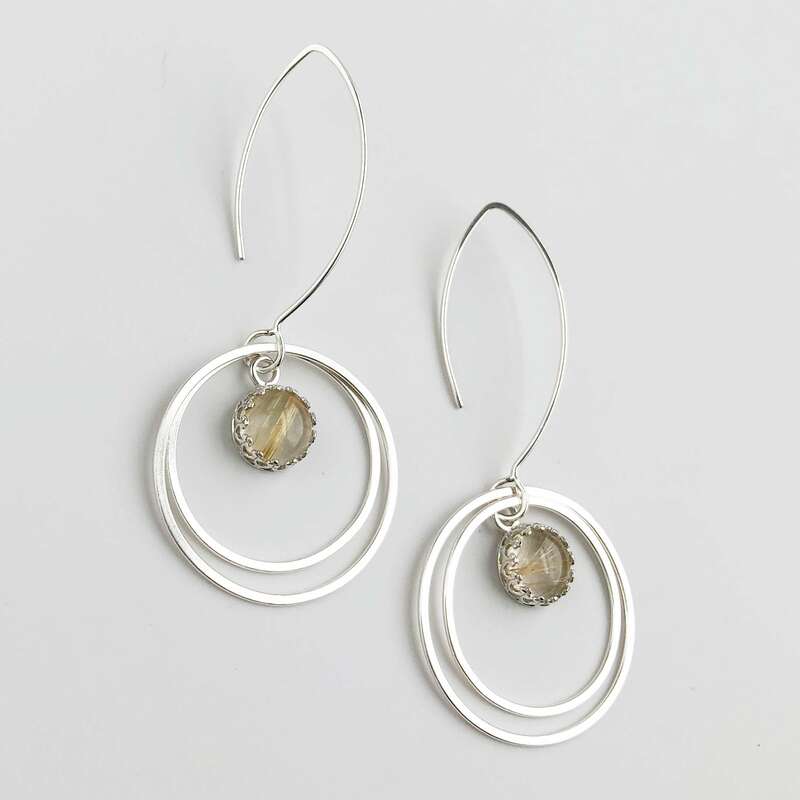 The sterling silver is polished to a high shine to catch the light just right. 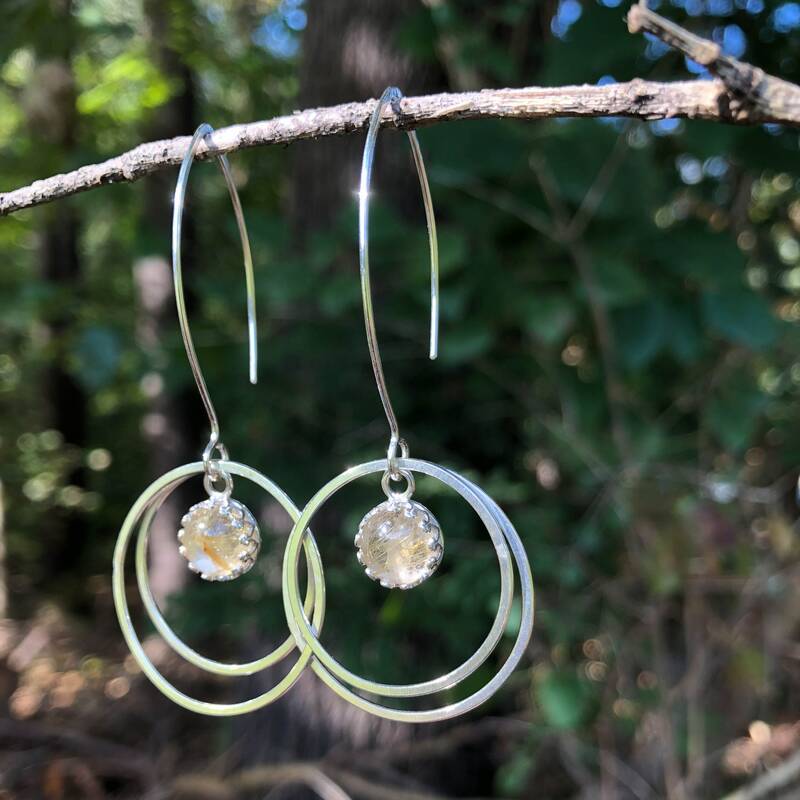 The stones are natural quartz with golden rutile crystals forming within the stone that give them such a gorgeous golden sheen and flash of color. 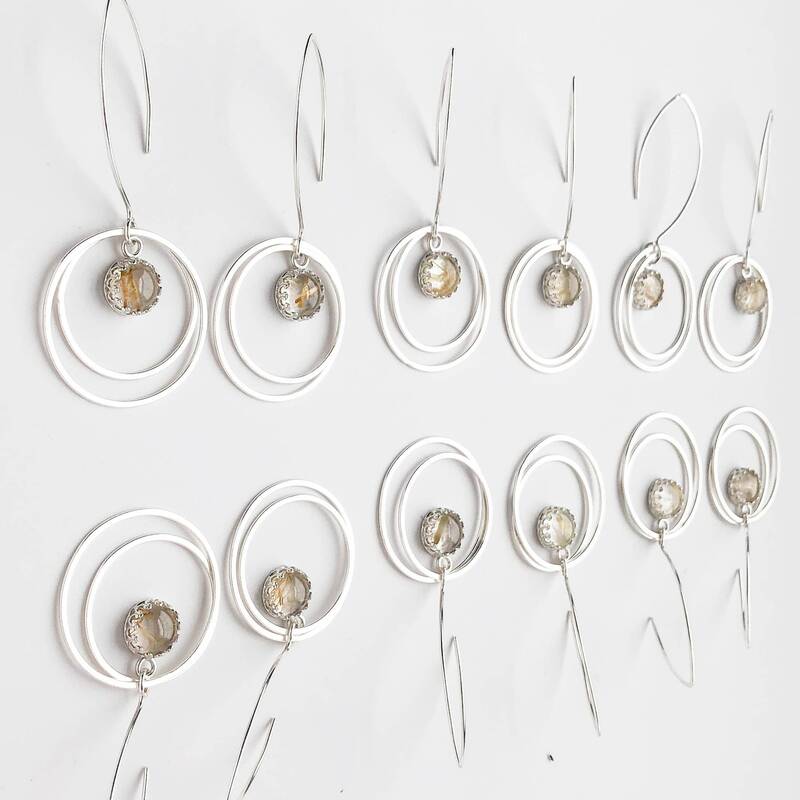 These are handmade with natural stones so no two pairs are exactly the same, I made 6 of them and they are all shown to demonstrate the slight variations.